I am now entering week 3 of living in Georgetown, but not shopping in Georgetown. I’ve been trying to find other, cheaper activities to occupy my time, so I don’t succumb to the temptation. 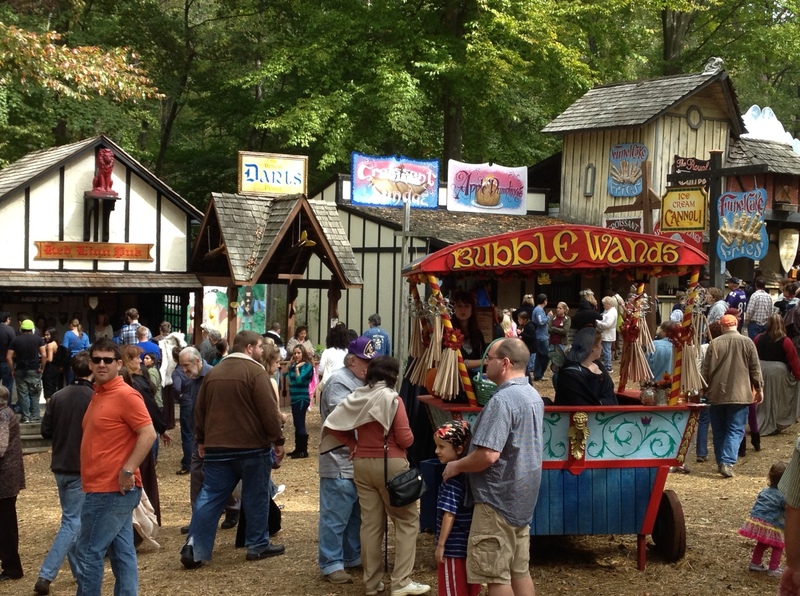 It turns out that finding inexpensive entertainment takes some real creativity, which is how I ended up going to the Maryland Renaissance Festival on Sunday. 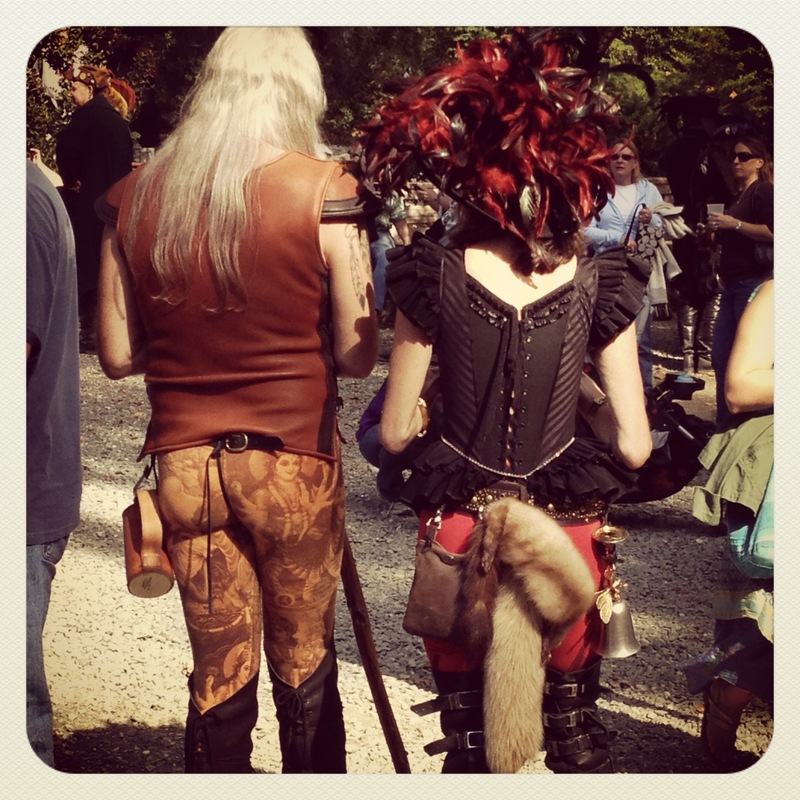 The real entertainment of RennFest is the people watching. It is AH-MA-ZING. It’s like going to a medieval people zoo, except none of the specimens are locked up. Seriously, you can just go and walk around and stare and you’ll be entertained­—free of charge. 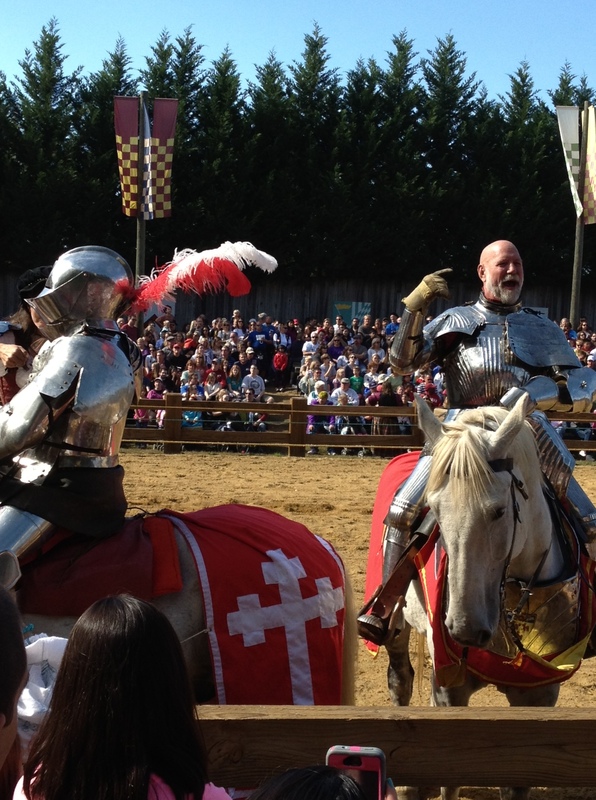 Also, the food is pretty good, and not necessarily so medieval. They had gyros, chimichangas, and funnel cake. And, consistent with most fairs and festivals these days, you can pretty much get anything you want on a stick. Of course, you can also get a full smoked turkey leg which is ridiculous – especially when you watch someone eat it. Since the entry fee is $22 (6 day passes are available if you really want them), most of the food and games are subsidized too, so you’re not looking at spending a ton of cash. Grand total for all that ridiculous fun: $39. Even better – I still have $61 left over for the rest of the month. SUCCESS. LOVE the pictures. Wish there were more. And, obviously, I love funnel cake. I will cut someone if they try to take even a crumb of my funnel cake. They even had funnel cake fries! An interesting approach, though I’m not sure they would be as satisfying. Obviously, I went for the traditional cake.